Back when doctors made house calls, the medical home was often the patient’s home. But the care was limited. In recent decades we have made great scientific and clinical advances, but at the same time, patients often feel left out of the center of the discussion and are responsible for coordinating their own care. Today, a new model of healthcare delivery is being adopted called the “patient centered medical home.” With its roots in the old-fashioned approach to caring for patients within the home, a “medical home” is defined as any place where an integrated team of providers can meet a patient’s primary healthcare needs, provide greater access to care and coordinate care and prevention. The “medical neighborhood” is a term used to describe coordinated care across multiple specialties. 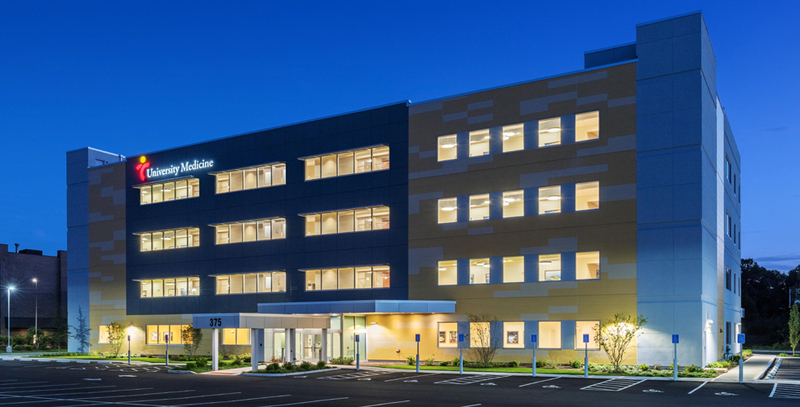 This new setting offers patients a variety of services onsite, and is that neighborhood of coordinated care. The Brown Physicians Patient Center offers general primary care and specific illness (specialist) treatment. Each of our providers work in spaces designed to function effectively for either an individualized or team approach. By adopting this model, Brown Medicine is providing high quality care with an emphasis on fostering a relationship between doctor and patient to maintain a continuous conversation through the patient’s various life stages and need for care. Having a core group of medical practitioners together in one location allows for enhanced communication and collaboration between the primary care physician, patient and, when needed, specialist, in providing assessment and treatment. This coordinated effort, aided by computerized medical records, allows our physicians to be fully attuned to each patient, and provides the opportunity for better prevention and increased efficiency. The building itself has been designed for comfort and convenience, with an emphasis on natural lighting, warm colors and nature-inspired décor. Reception and check-out stations are designed for maximum privacy and time-savings. Waiting areas are bright and roomy and there is ample, free parking. Our physicians and staff look forward to welcoming you into this new facility. We think you’ll feel right at home.